There are a few rules I learned as a young gardener that seem to contradict this post. Can you reassure me that I was mislead by well intentioned compatriots? – “More than 3 inches of mulch will inhibit gas exchanges in the soil.” You recommend 4 to 6? Has gas exchange been studied under these conditions and found to be adequate? – “Forest plants don’t grow in solid wood and neither should garden plants.” Aside from those plants that colonize recently broken down trees, most forest plants grow in a mix of leaves, wood, animals and their waste. If a gardener is looking to mimic as closely as possible, natural processes in order to build healthy soil environments, wouldn’t it make more sense to use leaf mulch? There’s this whole anti-mulch movement growing now (bees, wildlife, “green-mulch,” etc). Do you have anything to say about it? There is no hard and fast rule about 3″ of mulch inhibiting gas exchange. Yes, if you use compost, or sawdust, or newspaper or cardboard this can be a problem. However, coarse woody mulches don’t have this problem. There are many publications looking at mulch depth and plant performance (which indirectly will demonstrate whether there is sufficient gas exchange or not). 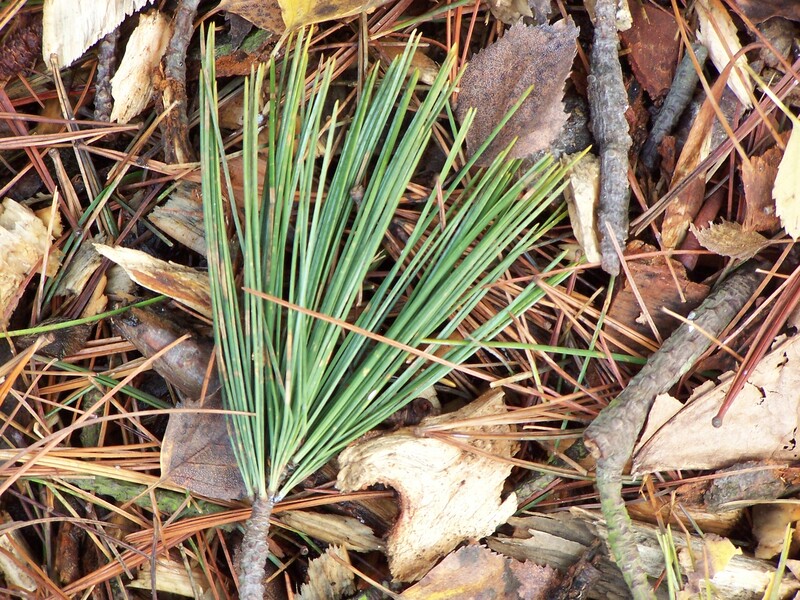 Pure leaf mulch is only natural in landscapes with no woody plants – like grasslands. So if you are only growing annuals and grasses, that might be appropriate. Otherwise, a mulch made of chipped trees will contain wood, bark and leaves – the same things that fall from the canopy. Again, lots of good research looking at mulch type and plant performance. I have no idea what the “anti-mulch” movement is and how mulch could possibly harm wildlife. Yes, I know that some bees need bare soil to burrow, but it’s not that much. What’s the rest of the story there? Thank you! Our local dump frequently has free fresh chipped mulch and I use it for the paths in my garden, but I think after reading this, I will be more generous with it. I created an entire bed with fresh chipped mulch from a tree take down. The soil in that bed is awesome and it has lasted for several years! I think I’ll remulch it with some of the chipped mulch from the dump to be consistent. I have heard one should age it but I’ve successfully used it around trees and such – the key is to use it as mulch and not work it into the soil which is a point made in this fact sheet. If chipped wood mulch is used in a vegetable garden that is tilled annually, will it create a problem? I’m aware of the no-till recommendations but we aren’t there yet. As long as the mulch has been on site for at least 6 months it should be fine. By that point the C:N is at a level that it won’t create a nitrogen deficiency. The role of extension is to provide an unbiased interpretation of ALL research data for a non technical audience, in this case home gardeners. This fact sheet is a sales brochure. There are many pros and cons to using mulch and many pros and cons with different types on organic mulch. The amount of mulch to use depends on the situation. The gardener needs to understand these pros and cons to determine the best practice for each type of micro-environment in their gardens. This fact sheet fails to do this. Thanks for your comments. If you would, please point out the specific errors in this fact sheet. It is based on a technical review I did in 2007 (referenced at the bottom of the sheet – if you would like an electronic copy I’m happy to send it). This current fact sheet has been through peer-review, including university specialists in soils, compost, and mulch. It’s not meant to cover any other organic mulch other than arborist wood chips. I’m in the process of writing some other fact sheets on mulches as an on-going series. I did not say there were errors. My point was there are omissions. Your article is about using arborist wood chips for trees and shrubs. However one of the photos appears to be spring bulbs growing up through wood chips which suggests that your fact sheet covers herbaceous perennials as well. I agree that arborist wood chips are one of the best wood mulches for most situations. However, all types of mulch have some downsides. Some examples. Thick layers of mulch encourage shallow rooting in trees, shrubs and perennial flowers. Thick layers of mulch including wood chips, used on steep slopes, tend to slide down the slope pushing over small herbaceous perennials. In clay and soils highly amended with compost, any mulch can prolong saturated conditions and slow warming of the soil in the spring, which creates a soil environment favouring root rot diseases. The benefits of using mulch out weigh the downsides if used properly in any given situation. The optimal depth varies depending on soil texture, type of mulch, size of plants, the overall climate and the microclimate of the garden. The gardener needs to have a clear objective in mind before applying mulch. For example, in southern climates where evaporation from the soil surface is high, a deeper mulch layer will result in a greater reduction in moisture loss from the soil surface. The benefit of a 4 inch layer of wood chips in this case will probably out weigh any down sides from a deep layer of mulch. In regions with more frequent rainfall or cooler summers, a 2 inch layer may be more appropriate. A 4 inch layer of wood chips under the drip line of a tree is a very different situation than using this depth of mulch with much smaller herbaceous annuals or perennials. A thick mulch layer will suppress weeds. Gardens on farms and in the country side often have a very high weed pressure and may benefit from a deep mulch layer. However, very few urban gardens have high weed pressures. Some tender annuals in northern regions or on north facing slopes may survive, but not thrive in cool soils. In this situation, a very thin mulch layer, applied once the soil warms up, will protect the soil surface from rain drops and have less effect on maintaining a cool soil than a deeper layer. A gardener with a poorly drained soil or a perched water table will only want a thin mulch layer to protect the soil surface. There are numerous situations depending on the micro-environment in the garden that determine the optimum depth of mulch. The gardener needs to analyse the situation and the downsides, apply the decided depth and then monitor the results to make adjustments if performance was not what was expected. Your fact sheet leads the average gardener to believe they should use a deep layer of mulch in all situations. Don’t get me wrong. I just tripped over your Garden Professors blog today and I am impressed. Keep up the good work. (1) The fact sheet is geared towards landscape use, which of course will cover trees and shrubs (as the backbone of the landscape) but also include other perennials in the landscape like bulbs and herbaceous perennials. The point of that photo was to show that wood chip mulches won’t cause a nitrogen deficiency in any of the plants established under this mulch. (2) “Thick layers of mulch encourage shallow rooting in trees, shrubs and perennial flowers.” Fine root growth is extremely dynamic, with roots following water, nutrients and oxygen. So in the winter you might find roots higher in the mulch layer than you would in the summer. The shallow roots, in other words, are fine roots, not structural roots, which is what “shallow rooting” usually refers to. (3) “Thick layers of mulch including wood chips, used on steep slopes, tend to slide down the slope pushing over small herbaceous perennials.” Yes they do, as will most mulches put onto these steep slopes. In such cases, living mulches are a better bet. (4) “In clay and soils highly amended with compost, any mulch can prolong saturated conditions and slow warming of the soil in the spring, which creates a soil environment favouring root rot diseases.” Root diseases are not favored under wood chip mulches, as they are heavily colonized with microbial species that are not pathogenic. Clay soils are actually improved by the use of mulch, as it reduces the compaction and enhances water and gas transfer. Landscape soils shouldn’t be highly amended with compost (which is another topic altogether that’s discussed in one of my colleague’s fact sheets on using organic amendments: http://cru.cahe.wsu.edu/CEPublications/FS123E/FS123E.pdf. (5) “In regions with more frequent rainfall or cooler summers, a 2 inch layer may be more appropriate.” Research has shown that organic mulch layers 2″ and less will enhance weed growth. That’s why I recommend at least 4″, as this allows for some settling and decomposition before reapplication is needed. (6) “A 4 inch layer of wood chips under the drip line of a tree is a very different situation than using this depth of mulch with much smaller herbaceous annuals or perennials.” I would agree for annuals, but am not sure why you think this would harm perennials. (7) “However, very few urban gardens have high weed pressures.” I beg to differ (as an urban gardener) and I’ll bet there are others out there who would agree. I very much appreciate your taking the time to discuss this. And given how much of your response I didn’t include here, we obviously agree on many points. Thanks for that excellent reference fact sheet. I use truckloads of arborists chips in my garden and love the beautiful mulch it composts down to. That they are free and you are helping the arborist by taking them is a big bonus. Before spreading, I usually age them in a mound for several months and add lots of urine and water to accelerate the composting. This also means less work spreading because the volume reduces to less than half. I garden on sandy soil here in zone 3(Thunder Bay). I find deep mulch of wood chips protects my roses and builds the organic content in their soil. We get lots of snow but the mulch saves those roses who don’t go into dormancy early enough. I also use large amounts of shredded news paper for weed suppression around shrubs, trees, rose hedges and paths in the veg garden. I even apply all the saw dust and loose bark from the six cords of birch I cut every year for fire wood. It all helps keeping down weeds and retains moisture. Slowly the soil is being I improved. I agree depth is required other wise the soil is exposed and weeds soon germinate. Really helpful guide and real facts on wood chip mulches. Wood chip mulches are mostly recommended for established trees because of their slow decomposition but if used with other types of mulches … it is really helpful for small plants as well. As a certified arborist at http://envirofrontier.com.au somewhat agreed and disagreed with the fact that it should be keep away from trunks of trees and shrubs as fresh chip mulches create less or no moist environment. One thing I noticed in the myths literature was an FAQ that stated that it’s untrue that mulches attract termites and their ilk. I am far from an expert, so please correct me if I’ve been barking up the wrong tree, but it appears that termite-resistant arborist chips are relatively hard to find. I have never lived in the PacNW, where Dr. Chalker-Scott lives, but imagine it was at least similar to the central coast of CA, where redwood and cypress were the go-to arborist wood chips. I loved that, but it seemed as though the termite resistance/deterrence was only present in heartwood. Even as a woodworker, the frequency with which I encounter heartwood cedar or redwood is extremely rare, and I’m not sure I’ve seen cypress planks in the past decade. Even if cypress were plentiful, the sapwood is highly susceptible to termites, and sapwood from cedar and redwood offer minimal resistance at best. Most arborist chips also seemed to be from branches and young specimens–neither of which offered significant heartwood proportions. The other side of this is regional availability. I have spent well over 90% of my stateside life in places where termites literally ate the vast majority of local arborist wood chips for breakfast. Whether in the great plains, southwest, or mid-Atlantic, the local trees are typically deciduous hardwoods that vermin love. The exception is black locust, but as invasive as it’s supposed to be, it’s rare that an unwanted specimen lasts more than a few months. Personally, I’d love to find free or affordable black locust or osage orange, but it’s unlikely in most of the country. I’m sure it’s extremely easy to find heartwood chips from resistant species in much of the NW, but it certainly doesn’t seem to be an option here. That’s not to say that anyone’s under any obligation to write articles or present research that speaks to the experience or offers guidance applicable to the entire continent, but it might make sense to point out (1) regional or even taxonomic guidance, and (2) the heartwood vs. sapwood difference. With that said, I’m on the lookout for local arborists who get the call to cut down a mature black locust or eastern red cedar. I came across Dr. Chalker-Scott’s and then this blog through a search for scientifically credible research on sheet/lasagna mulching, and am grateful to have found her recommendations about chips. The issue is just the feasibility of those recommendations for many people. I apologize if this post comes off as anything but friendly; I’m probably just bitter about living in Maryland, the horticultural equivalent of old, cold spaghetti where I’m stuck for at least another dozen years. Also, I must say that it’s wonderful to have found people who want to see the proof before taking a bite of the pudding. Skeptics unite. I am persuaded by your arguments to avoid cardboard, etc. and just mulch with thick layers of freshly chipped material for grassy areas conversion into gardens. Would you, however, explain the rationale for mowing the area as closely as possible before laying the chips? Also, would you explain whether the mowed grass needs to be removed and if yes, why? Thank you! Mowing the grass reduces its resources and makes it harder to regrow. The mown grass can be left in place and supply nutrients as it breaks down. Previous Previous post: Your feedback needed! Next Next post: I love my little Leyats!